Below is some info I have prepared during my preparation for level-1 CFA exam. 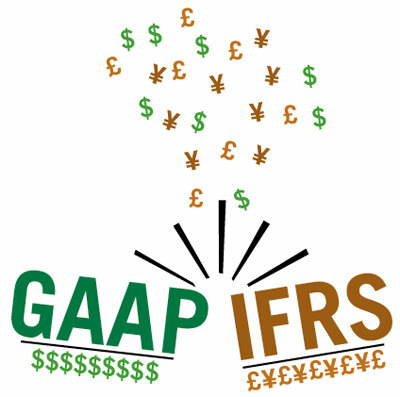 IFRS and GAAP differences are through out the FSA and for me it was difficult to remember, hence prepared this notes. Make sure you are thorough with the differences before you step into the exam hall. Remember in exam that the default standard to follow is IFRS when nothing is mentioned. 2. The notes I prepared is for Dec-2012 exam. Please do comment if to add/modify any content and I will do the same. Reasonably certain: installment method used. and minerals and mineral products to be carried out at NRV even if it is greater than cost. Software Expensed until feasibility established. After that only if can be capitalized. This is same for s/w generated internally or for others Internally: Can be capitalized Others: Expensed until feasibility established. After that only if can be capitalized. Impairment of PPE and Intangible assets Impaired only if carrying value less than Recoverable amount. Can be written back to the amount of written down and additional profit recognized as “revaluation surplus” If it is bought at cheaper value, then revaluation should not be shown and should only be reflected in equity. Revaluation shown only if written down. Tested for impairment only if events and circumstances indicate that firm may not be able to recover carrying value through future use. 2. Loss measurement a. Loss written to b/s b. Recovery not allowed Asset is written down to fair value in B/S and loss to the i/c sheet. Investment property If firm owns property for collection of rental or earning capital appreciation,it is treated as investment property. Can use cost model or fair value model. But must use same model for all such properties and model disclosure should be there. Gain should be recognized only if loss is already recognized Does not differentiate between long lived asset and investment property Cost model generally used. If DTA/DTL is occurred in past and but criteria of economic benefit is not met Existing DTA/DTL related to item is reversed Valuation allowance is established. Bond Issuance costs Debt is reported at fair value. Distinction b/w Sales type and Direct finance lease IFRS makes no distinction If PV>CV , sales lease If PV=CV, direct finance lease. Sales type and Direct finance lease Both in o/p and finance lease firms should disclose payments for the next 5 years separately and cumulative amount of the next 5 years after that. Amazing stuff! This is going right on the Level 1 tips post. @Zee Thank you. Hope it will benefit other members of the forum. @Ravivooda - epic post! I'll slowly read through this to refresh my own memory! CFA charterholders are supposed to be Navy Seals of finance. Your last row reads "To change inventory accounting method from FIFO to LIFO." IFRS reads "Demonstrate the benefit", but isn't LIFO prohibited in IFRS? Maybe the row should read "To Change Inventory Accounting Method" (strike the from/to specifics)? Your call. @BobBarkerPlaysPlinko, I'll need to check it once from my level-1 notes. Discontinued Operations - Under U.S. GAAP, you report it as "extraordinary net of tax". I believe it should be reported below Income from continuing operations but above Extraordinary Items. Thank You! This post has answered my prayers! This is particularly useful and looks amazing! However, I'm a little concerned that the post is now 5 years old, would any accountants out there be able to comment on whether there has been changes to IFRS or GAAP which makes some of the information now out of date or incorrect?